It never ceases to amaze me at what I will agree to when one of my children is involved. 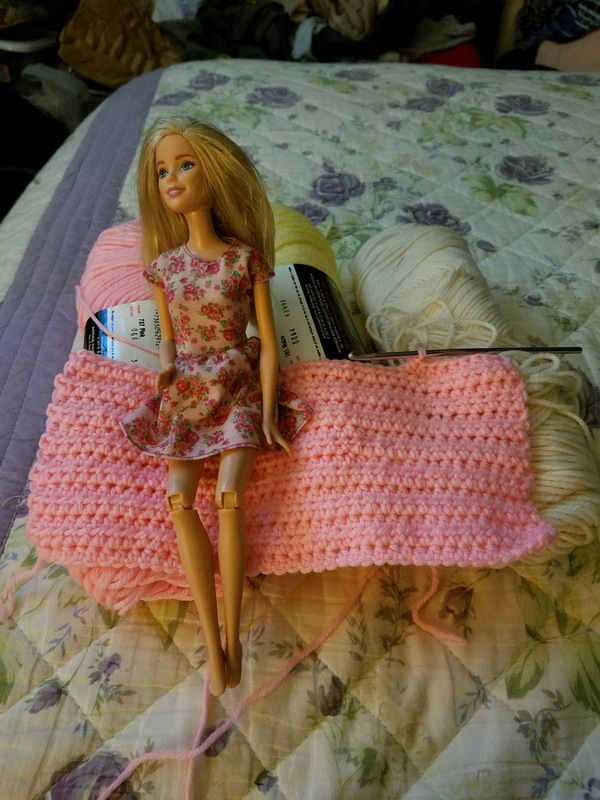 My middle child, ever the girly girl and on the go, wanted a blanket for her dolls. I had been gifted some acrylic yarn, and thought this would be a perfect use for it. I have a pink, yellow and eggshell color that is from the 1970's. 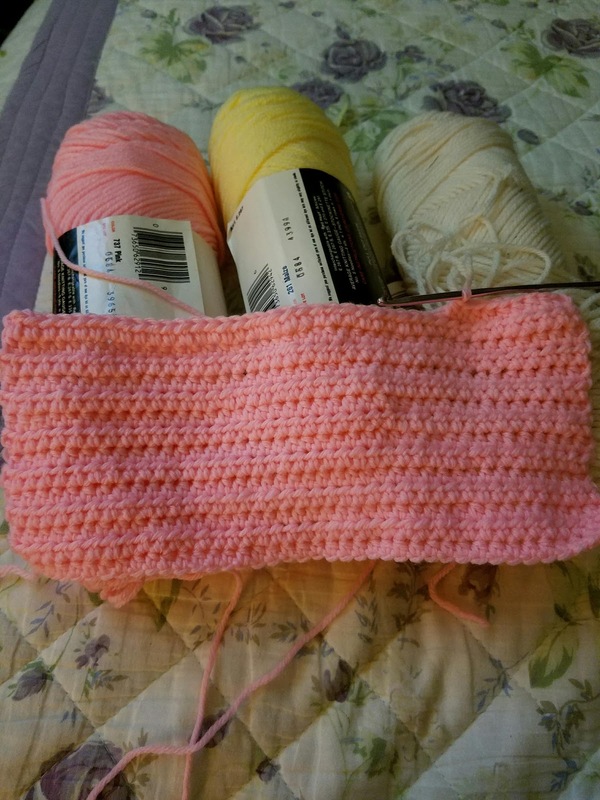 I plan on making the blanket pink (because what other color is there?) with white daisies. A pillow has been requested as well, and another blanket for the guest dolls. Yes, this doll has a guest bed in her house and her friends sleep over all the time. Five year olds have great imaginations. I hope to finish this and my sock while hubby has surgery and doctor appointments in the next couple of days. He is going for the first cataract surgery tomorrow, and the second will be in a couple of weeks. Positive thoughts and prayers are appreciated.